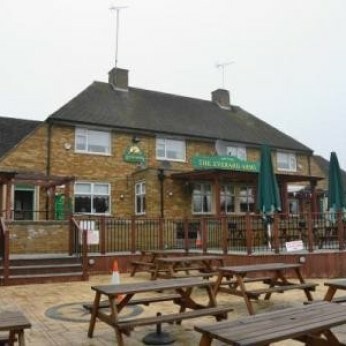 The Everard Arms is a lovely local pub situated in Corby. With the pubs fantastic family orientated atmosphere and friendly staff makes The Everard Arms a place everyone would want to spend the day. They serve a full selection of draught beer, wine and spirits for your enjoyment along with a lovely range of soft drinks for all non-drinkers and drivers. Situated on the premises there is a large beer garden, which is a great place to sit and relax with a refreshing drink during the summer months as well as 2 heated smoking areas to accommodate all customers who enjoy a smoke. With disabled access and a car park also on the premises, this makes the pub easily accessible for all. To keep customers amused there is a pool table and a jukebox, and for those feeling a little hungry try one of their delicious traditional meals. Choose from a wide selection of dishes on their main menu or from the specials board for something a little different. Food is served Monday-Saturday 12pm-3pm and 5.30pm-9pm, and Sunday 12pm-6pm, booking is advisable, as the restaurant can get very busy. For that special occasion coming up why not book. For all those sports fanatics there are 3 plasma screens throughout showing all major games on Sky Sports and Setanta Sports. Thatâ€™s not forgetting there great entertainment evenings, with karaoke nights, live music nights, quiz nights and discos, making The Everard Arms the perfect place for a busy night out on the weekend or a quiet night out during the week. So come and experience the wonderful atmosphere for yourself.